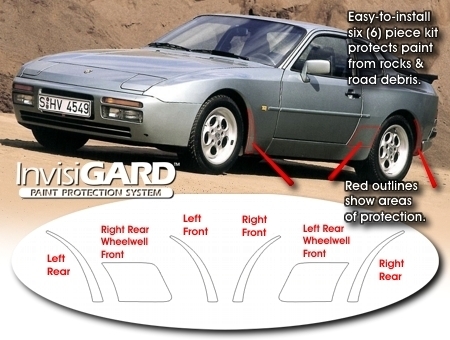 InvisiGARD Wheel Well Stone Guard Kit for Porsche 94Don't like mud flaps? Not for this ride! Protect the inside edge and leading portion of your front and rear wheel wells and rocker panels with this easy-to-install six (6) piece Wheel Well Protector kit. These areas chipped already? No problem! Carefully treat the chips with factory touch-up paint and install the pieces when dry. InvisiGARD®'s ultra-gloss urethane surface will make these areas appear new again. 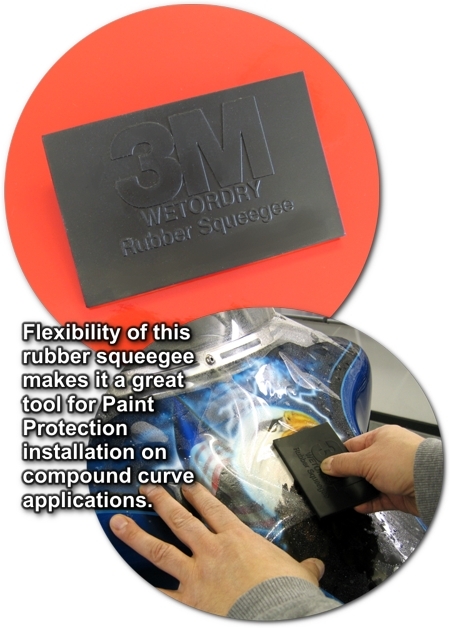 Our InvisiGARD® paint protection film is an optically clear urethane film that is a proven product to protect your vehicle's vulnerable areas from paint damage caused by bug acids and road debris such as tar, stone, gravel, sand and road asphalt.